The evolution of Ultra High Performance Tires (UHP) tires from being solely summer tires, commonly having a V speed rating and being primarily put on sports cars is over. The future of UHP tires is a tire that can handle wet conditions and even light snow, commonly have W and Y ratings, and installed on everything from sports cars to SUVs!. So what are the newer features and where are ultra high performance tires heading? Rest assured this rapidly growing segment of the tire market is getting a ton of attention from tire manufacturers, and their innovations will have you looking at UHP tires for your vehicle! No longer are UHP tires only directional. The need to perform in multiple seasons, not just summer, moved UHP tire to an asymmetrical pattern, which are better suited to handle dry, wet and winter road conditions. Highest Speed Rating in the industry. UHP tires now have W & Y ratings to handle modern UHP tire demands like responsive handling at highspeeds, top cornering, acceleration, braking and enhanced traction. Larger sizes to suit customer desire for styling. Tire sizes 17 inches and up are now common for UHP tires and wider sizes are also available with lower aspect ratios. No longer just for summer road conditions. UHP tires now handle dry and wet better than they ever have, easily maintaining their grip and handling, and the improved tires even handle light snow conditions. Advanced features in common with touring tires. Quiet ride and low rolling resistance have now become standard. manufacturers have designed new tire compounds to meet this demand. Sustainable materials. Newer materials help the tires last longer, offer low rolling resistance all while maintaining top performance. Perfect for high horse power SUV and CUV’s . 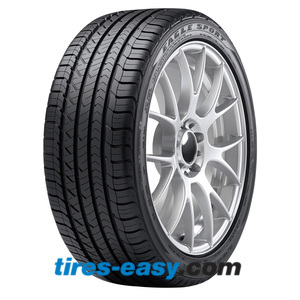 UHP tires easily handle the acceleration, cornering, braking and suspension of the modern SUV’s providing the handling typically seen in performance sedans. Choose M+S if you need it. Ultra high performance tires must maintain high dry road grip, and good wet road handling , however many now add light winter traction and handling to the mix. Be sure to choose the M+S rating if you are in an area where you need enhanced wet and winter performance. 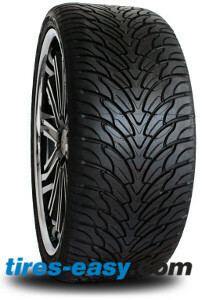 The Atturo AZ800 is an Ultra High Performance with an optimized tread pattern for grip at high speeds. Further enhanced wet performance. Tire manufacturers are working to have even more wet performance in M+S and those without the M+ S rating. Even more mileage. Customers desire tires that last in the ranges closer to touring tires. Look for UHP tires that will get 45K miles and more. Advanced acceleration, cornering and braking. These features these are the essence of a UHP tire and manufacturers all want to boast the best in each of these performance areas so look for this area to advance rapidly . More advanced materials. Manufacturers are pushing even further towards eco-friendly materials, and even lower rolling resistance for better fuel consumption. The new proprietary compounds of the tires will make the difference here. UHP technology in 4×4 tires. What? Atturo tire has us waiting to see what they are going to do with UHP and 4×4 tires. They promise to surprise! Federal has also announced their new Xplora MTS. Made with the mean styling of a mud tire but designed for on road driving, good mileage and tread wear. The Explora MTS is a game changer for truck and SUV enthusiasts! The Federal Xplora MTS is a hybrid Mud Terrain tire for an urban truck enthusiast. As we watch the advancements in the ultra high performance tire market evolve, one thing is for sure, customers absolutely reap the benefit of the race to be the best. Customers who purchased their vehicle for its handling and high horse power capabilities, want a tire that keeps up with the vehicle. We will be watching to see who comes out on top! 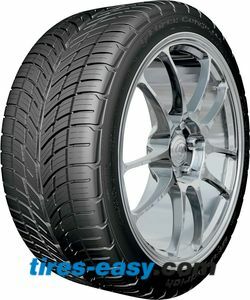 On tires-easy.com you’ll find a great selection of ultra high performance tires from top brands like Bridgestone, Cooper Tires, Pirelli, Continental or Goodyear just to name a few.